It’s almost Thanksgiving. Will you be able to give thanks that your end of year campaign has already been launched or ready to go? Or will you be panicking that (once again) a great opportunity is being lost? Whether it is because this is when we all ask for support or because it is the time of year when people think about giving (or some combination of the two), end of the year is when most of a nonprofit’s charitable revenue comes in. Over 30% of all giving happens in December, and most of that in the last three days of the year. The good news, for those of you who haven’t done your end of year appeal, is that there still may be time. The bad news is that without careful planning, you don’t have time to develop a full-blown campaign. 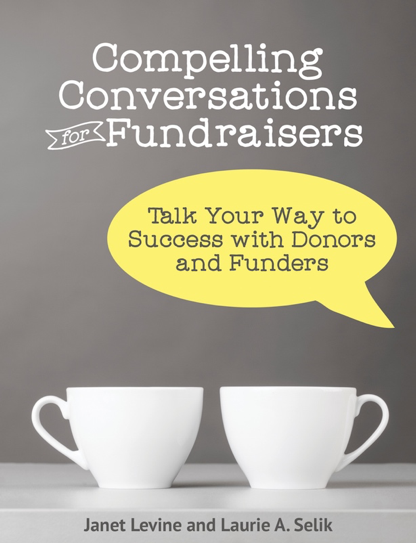 In fundraising parlance, a campaign is a time-limited effort to raise funds in a variety of ways for a specific purpose. That purpose can be your operating funds. If you only send a direct response letter, you will be lucky to get a 4% effective (number of yeses relative to number of asks) rate. The more platforms you put your appeal on and the more carefully you send out your various appeals, the higher that number will go. The higher that number, the more you will be bringing in. End of the year shouldn’t just be about asking, however. It is such a great time to tell your donors (and would-be donors) what their support has meant over the year. Telling success stories in emails, e-blasts, newsletters, letters, on social media (you get the picture—and while we are here, pictures are often worth 1,000 words) helps donors feel connected and, understandably, that their support really does matter. It’s also a good time to clue your community in about what you are planning for next year. What new things are on the horizon? What things will you be enhancing, continuing…or stopping? What changes are happening in your staff, in your board, with your programs? The more you can engage and involve your donors, the higher your retention rate will be. And that means the more successful your end of the year campaign! Janet Levine helps nonprofits move from mired to inspired. Inspire your board by bringing Janet to do a training. Stop being mired by hiring Janet to help your fundraising team plan a successful next year. Email her directly or go to www.janetlevineconsulting.comto learn more. This entry was posted in end of the year campaign, fundraising and tagged end of year appeal, engaging donors, stewardship. Bookmark the permalink.